They can help save you money Hiring a wedding planner can actually be beneficial to your wallet. Give your wedding planner your target budget and he/she will make sure that you stick to it, as well as suggest goods and services that will fit within your price range. They can “grant wishes” Okay, so wedding planners aren’t magicians or anything, but their knowledge and relationships with other vendors can help bring your (potentially out-there) ideas to reality. They will be your voice of reason On the other hand, wedding planners will make it clear when things are getting out of control. If you’re risking going way over budget or do something that doesn’t fit with your venue or initial vision, they’ll be there to talk you out of it. They can help connect you with the right vendors It’s important for you to do your own research when it comes to searching for your wedding vendors, but a wedding planner can be a great resource. Experienced planners have likely worked with many of the vendors in your area, and can help you narrow down the list. They’ll help narrow your inspiration You’ve probably already looked at a million wedding blogs, checked out Pinterest and WedStyle, and generally fell in love with every amazing wedding detail you’ve seen. Well, a wedding planner will help you hone in on your wedding and expertly pick the details that will best fit your style and color palette so your wedding looks cohesive, not like a Pinterest board exploded. They’ll help you make the tough decisions From etiquette drama to last-minute weather-related concerns (Do we move the entire wedding indoors with a 40% chance of rain? ), your wedding planner will be an impartial expert to help you figure out those sticky situations. They won’t let you forget anything There are a lot of things you’ll need to remember on your wedding day, and it’s really easy to forget a few of them. Your wedding planner won’t let that happen. From stain remover to bobby pins to bigger issues like make sure your vendors are fed (very important! ), your planner will make sure you’re fully prepared for anything that may arise. They’ll make sure everything runs on time – or close to it Even if you’re a stickler for being on-time, it’s very easy for things to start running late at a wedding. This tends to have a snowball effect, which isn’t a pleasant experience for guests. 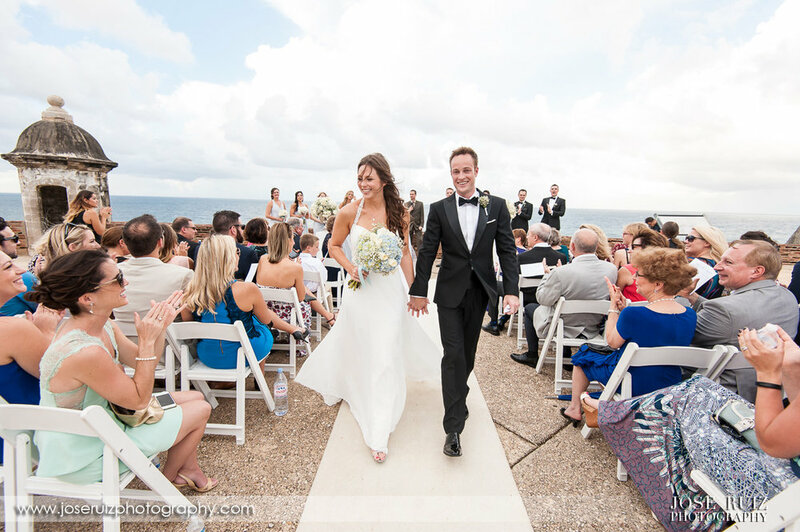 Wedding planners usually create a detailed timeline (to the minute) so things stay on schedule. Wedding-day drama? You’ll never know As much as we hate to admit it, there will probably be a few little things that go wrong on your wedding day. Your wedding planner will make sure that you have no idea that anything unplanned occurrred. You, your family and wedding party members can just focus the most important thing – celebrating your marriage Knowing that you have someone in your corner to make sure everything runs smoothly should be reason enough for you to relax and enjoy your day. Having a planner will also release your family and wedding party members of any wedding-day responsibilities – so they’ll be thrilled too! 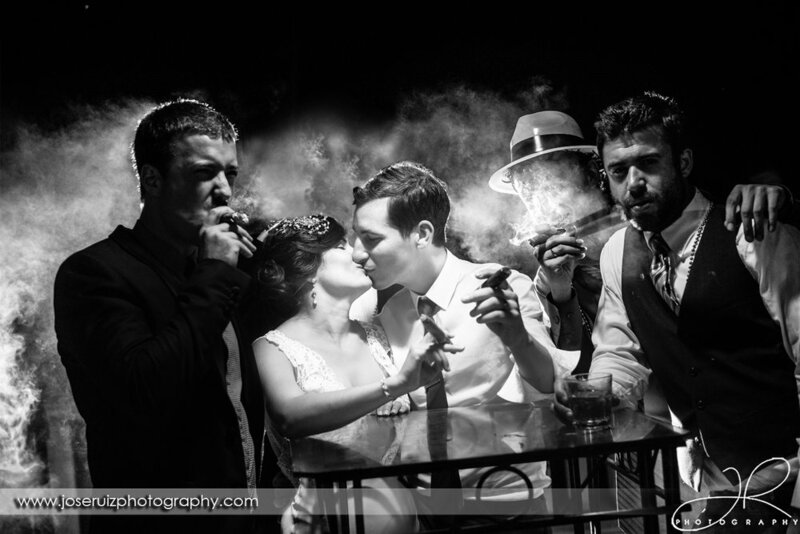 Jose Ruiz Photography images are creative, clean and crisp. They’re romantic, fun, and emotional. 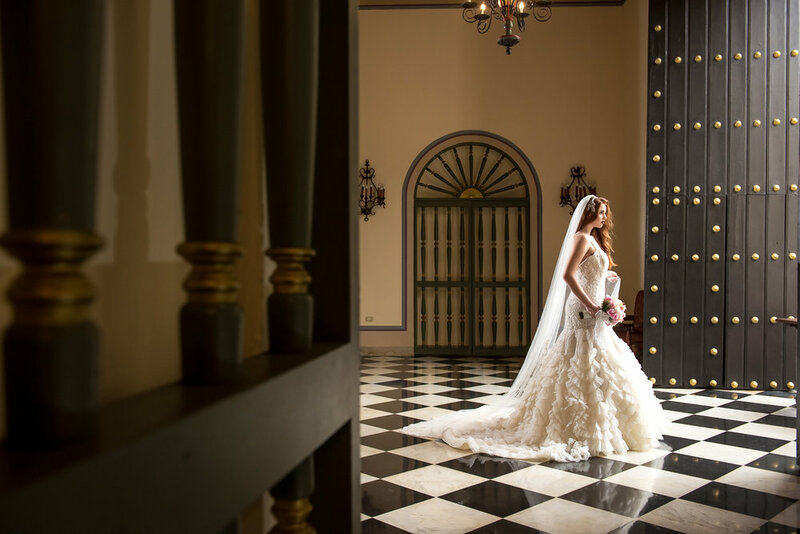 Jose Ruiz Photography is critically acclaimed for developing a unique editorial style of wedding photography that is deeply rooted in wedding photojournalism while influenced by fine-art and fashion photography. We pride ourselves on not just being photographers, but rather artists creating unique and expressive imagery. With the diversity of the cultural aspects of our weddings, it’s difficult to pinpoint an exact wedding photography timeline template. However, there are ideal time frames you should consider when planning your day. Some of these times may seem long on paper but keep in mind that: the day will fly by, most weddings run slightly behind schedule, and we’ll make these photo sessions fun, so it won’t seem like a long time. 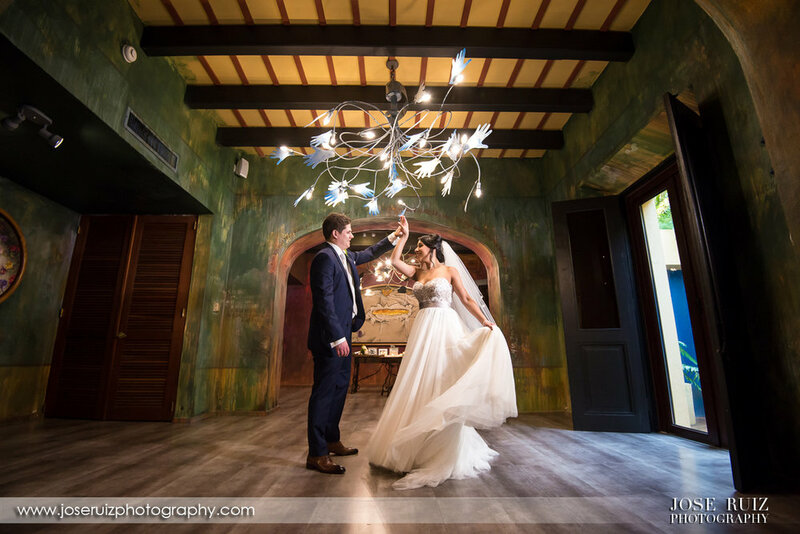 We recommend arrive to your room (at least) 2 hours before the ceremony to start your wedding day coverage and complete this detailed preparation process. 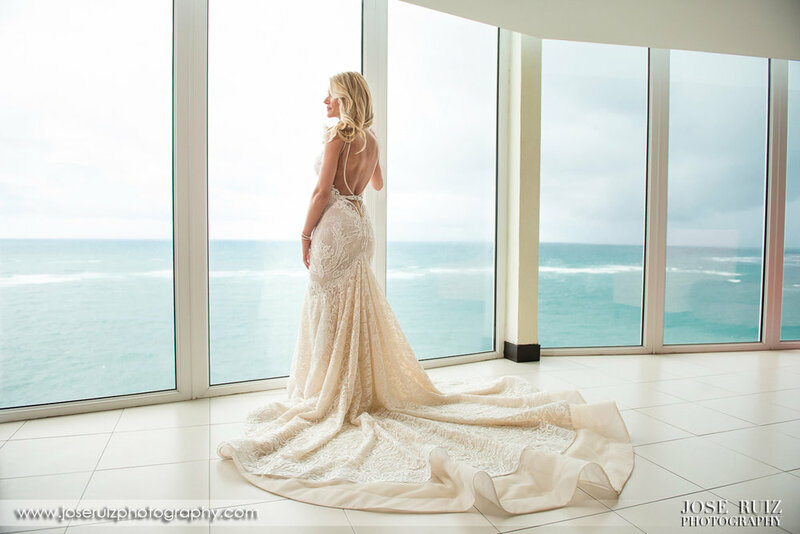 * Advice – Having at least 30 minutes for details ensures that we have plenty of time to get that perfect photo of the dress, rings, shoes, bouquets, and the other details of the day. There are times when a hotel room is too crowded or simply unappealing; we have to take the dress all the way down to the lobby or even outside. This can take some time, but as you can see from the results, it’s well worth the additional work. * Advice – Having 45 minutes to an hour of preparation is ideal for our style. During this time, we are getting close ups of the makeup and hair being applied as well as the candid moments and the bridesmaids and groomsmen get ready for the day. Keep in mind that these are some of the most emotional and fun times of the day, so you don’t want to cut it short. The lead shooter will be with the bride while the second shooter (if hired) will be with the groom. While it doesn’t take guys an hour to get dressed, there are still tons of great moments during this time between the groom and his family and friends. 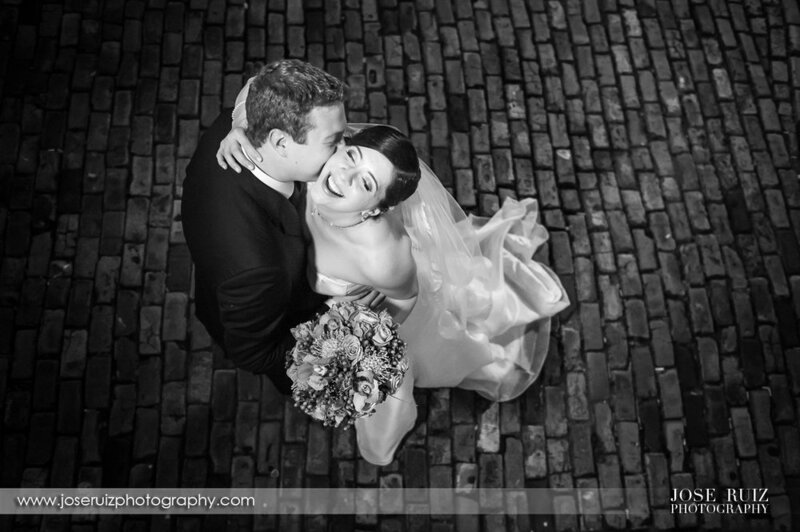 * Advice – Right after prep is the best time for individual portraits of the bride and groom (separately). Besides makeup and hair being completely fresh, the day hasn’t gotten hectic yet so we can take our time and get those perfect portraits. Also, keep in mind that the window lighting in most hotel rooms creates a unique look that can’t be duplicated in any environment throughout the rest of the day. * Advice – Immediate Family Photos should take another 15-20 minutes. It’s important to have additional images with your parents, grandparents, and siblings beyond the basic formal (mentioned in the section below). 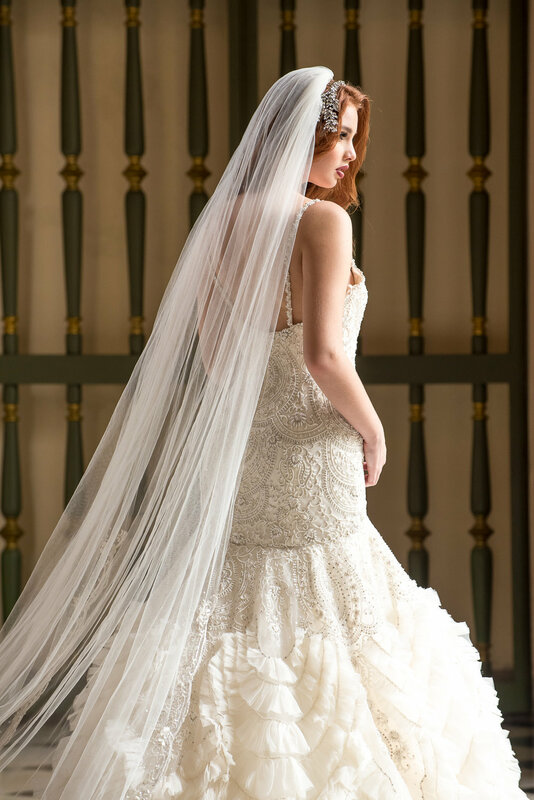 * Advice – The first look should be 1 hour before the ceremony and it should last around 30 to 45 minutes. That being said, if you want to do the first look, we have to arrive 3 hours before the ceremony time to where you're getting ready. 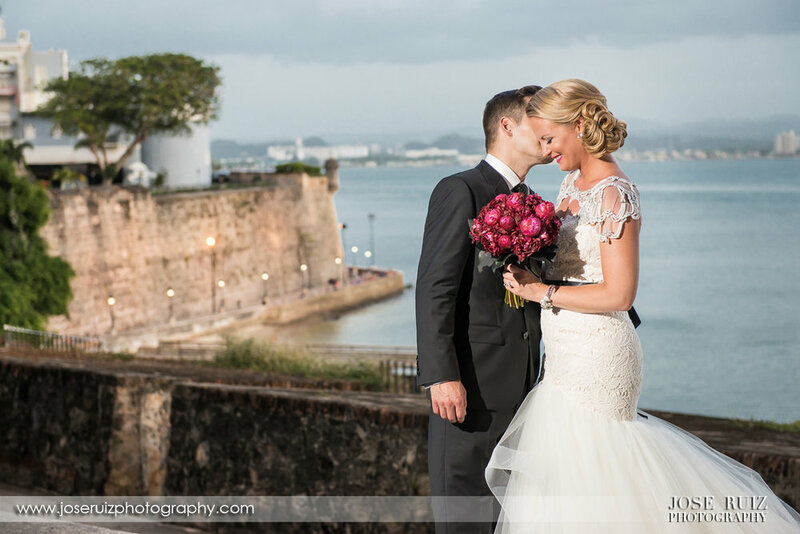 During the first look time, the bride and groom enjoy seeing each other for the first time on the wedding day. While the actual first look might only be 5-10 minutes, the rest of the time is spent on a few basic portraits of the bride and groom. Ideally we are saving the bulk of the couples session for later (see the “couples session” section below). However, if there is no other time in the day, it is best to allocate another 45 minutes to an hour here so that we make sure we have enough photos of just you two. For more information check What is a first look and why should I do it? * Advice – Please allow 10-15 minutes for the second shooter to take pictures of the ceremony site, completely set up with no guests or vendors in the area. Before you have the guests seated, it’s important that we are there to capture the complete set up of your ceremony site so we can capture the scene at its best. * Advice – Keep it simple. Have a minimum of pictures for this moment including: complete wedding party, Maid of Honor & Bets Man, immediate Bride's Family, immediate Groom's Family, Grandparents (if available). We also recommend being very organized, with a list of groups and helpers from each side of the family to help round people up. The wedding planner also can help with this task. * Advice – Couple session should be around 1 hour and should take place ideally 30 to 45 minutes before sunset (depending on ceremony time). The is the best time in terms of lighting. It also allows us to capture the awesome scenic shots with colorful skies. If you booked your venue because of the spectacular view of the ocean and sunsets, it’s essential to follow this advice in your timeline. * Advice – Please allow 15-20 minutes for us to take pictures of the reception room, completely set up with no guests or vendors in the area. Similar to the ceremony details, this is the only opportunity we have to capture the beauty of the reception room prior to guest arrival. Table Shots – Table shots are when you go around visiting tables. There are two options for photography during this time. (1) You can take formal pictures with each of these tables or (2) we can simply focus on photojournalism, capturing the smiles and hugs as you mingle with each table. We recommend the second option so you can keep enjoying your reception. - Keep Rooms Clean – Keep both the bride’s and the groom’s room clean. This helps eliminate the possibility of having any obtrusive objects in the background or needing to take time out of taking pictures to clear out anything that we don’t want appearing in your pictures. 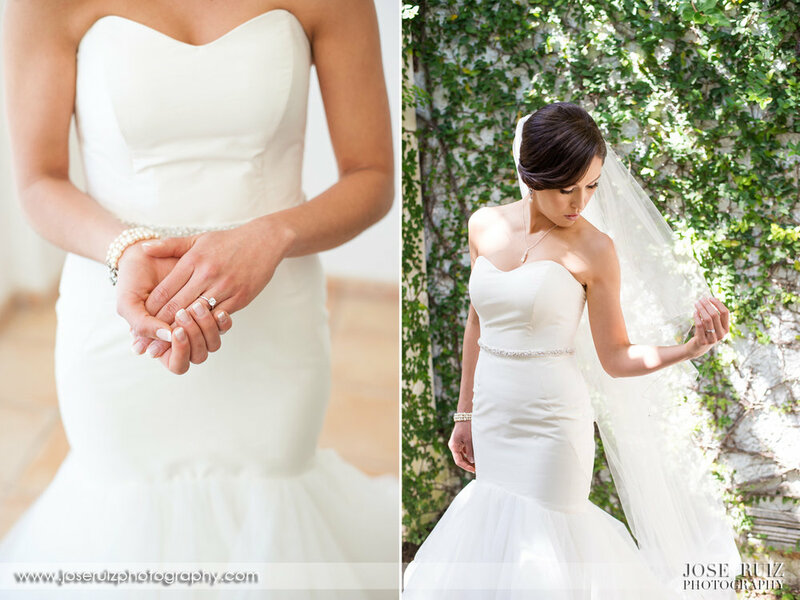 - Have All the Details Ready – The bride should have all the details (dress, rings, shoes, etc.) in one spot. Having all of these items together allows for the photographer to easily photograph all your important details in one place. So instead of having to gather the items from separate locations and ultimately losing time, this helps in saving more time for us to take pictures of you and your bridal party. - Use a Custom Hanger – Have a nice hanger for the wedding dress so that your dress won’t have to be displayed on the default plastic hangers. Many nice hotels have wooden hangers for us to use, but some don’t. It’s always better to be prepared if that dress shot is important to you. 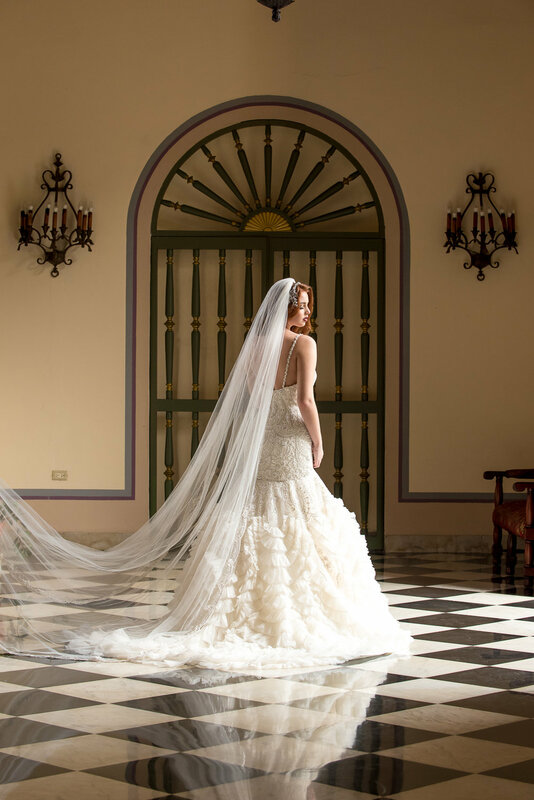 - Brides First – For the brides, please have your hair and makeup done on you first by the time we arrive to your room to avoid the risk of running late. This is very important because if your hair and makeup are not finished on time, this will cut into your photography time and will decrease the amount of images we are able to shoot and deliver. - Keep the Number of People Low – Too many people in the room can add stress to the day. Besides bridesmaids, a few immediate family members and your wedding vendors, everyone else should wait until later in the day to hang out with you. - Have Immediate Family Around – This is a great opportunity to get some intimate pictures with your parents or your siblings. This is also a great time to have a “first look” between the bride and her mother and father. 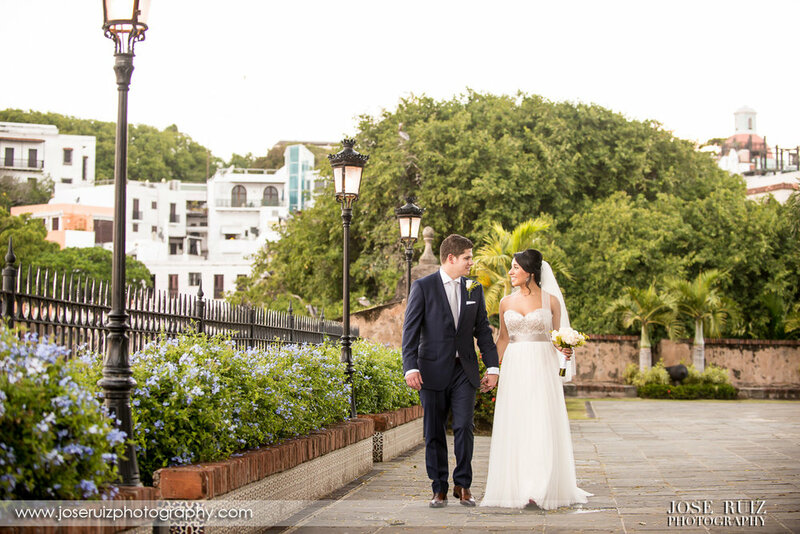 - Give us Enough Time – We prefer to have around 2 hours of time for the details and prep of bride and groom. After you finish getting ready we want to take some amazing portraits of you with your beautiful gown and also with your bridesmaids (if available).